With Quote Bee you're spoilt for choice. There are lots of insurance companies out there - we give you an overview of the best insurers in SA. 1Life allows you to avoid the middleman and create a life insurance package that is individually tailored to your needs. AIG Insurance operates locally throughout South Africa providing both individuals and companies with a variety of short-term products. ABSA life insurance revolves around several quality products but the flagship offering is undoubtedly ABSA Life @Ease, that is flexible and easily tailored to an individual client. Alexander Forbes Insurance is focused on developing and marketing a dynamic range of individual South African insurance products. Gray Life enables small and medium corporations to take part in the Allan Gray pooled portfolios, as there is a R20 million minimum that allows these companies to get Gray life insurance. 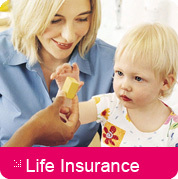 Life offers many different products to cater to the individual needs of clients, including affordable life insurance policies. Auto and General were pioneers in direct short term insurance, and the big name behind many of the smaller insurance companies operating in South Africa today. Avbob Mutual Assurance began in 1921, and today their aim is to provide dignity in the funeral services for their clients thanks to a wide range of flexible products. Budget are able to offer lower car insurance premiums thanks to a no-frills service that still emphasises quality and peace of mind. Capital Alliance is rapidly gaining market share in the competitive life insurance market in South Africa, and their many policies include death, funeral and permanent disability benefits. Channel Life has grown substantially in the past four years to capture market share in the long-term insurance industry, ever since Sanlam took a 50% share in the company. Liberty Life is one of the biggest insurance names in South Africa, and since 2004 Charter Life has become part of their family as they are now known as Liberty Active. Chartis grew out of AIG and now operates branches worldwide servicing over forty million clients. They process a massive $2.6 billion in claims annually. Clientele Life is part of Clientele Limited, and offers clients life coverage as well as hospital stay insurance and dread disease coverage at highly competitive rates. Compass Insurance boasts a Business Model whereby marketing, claims handling and underwriting is outsourced to specialised Underwriting Managers. Dialdirect are one of the most recognisable names in SA car insurance today. They have made it simple to get car insurance, and cheap to keep it. DirectAxis is a financial services company that offers short-term insurance, life insurance, personal loans and home loans. Discovery life insurance makes a lot of sense if you are already part of the Discovery group, either in terms of their credit cards, medical aid scheme, or other holistic health offerings showcased by this group. 1st For Women caters exclusively to women drivers, and due to the lower risk of this demographic they can offer better prices on their car insurance products. Forged in 1988, FirstRand is an amalgamation of South Africa's most successful financial services companies including RMB Holdings, First National Bank Holdings and Southern Life. FNB Insurance Brokers allow short-term policy seekers to choose brokers aligned with one of South Africa's most powerful banks. FNB has a truly wide range of insurance policies for all needs. Guardrisk is a life assurance specialist that offers corporate life insurance and is known as a world leader in cell captive insurance. Glenrand MIB is a publicly traded company on the JSE and their size enables them to provide nationwide service thanks to their many branches around the country. HDI-Gerling Insurance of South Africa Ltd targets medium to large companies, firms with industrial holdings and subsidiaries of big European companies. Hippo is an insurance aggregator - meaning they can provide up to 7 quotes when it comes to selecting your new car insurance policy. Hollard are innovators in short term insurance and interestingly give you a choice between going direct or using a broker for more personal attention. The Imperial Group offers diversified financial services including short-term car insurance through Regent. There are few more trusted names in the SA auto industry than the AA, and they now offer extremely competitive car insurance premiums as well. Lion of Africa is a Black-owned financial services firm that in Life Assurance, Short-Term Insurance, Fund Managers and Employee Benefits. Lloyds - the highly respected international specialist insurer provides short-term insurance in South Africa to look after your car and household contents. Metropolitan Life insurance is one of the largest companies offering long-term insurance in South Africa, and currently holds more than four million client policies. Miway has simplified the process of insuring your vehicle and is well known for offering inexpensive policies that are welcomed by new or disadvantaged drivers. Momentum are a one-stop shop for all your insurance needs, taking care of not just your vehicle but the rest of your life as well. 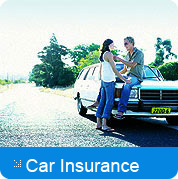 MUA are specialists in motor vehicle insurance. MUA even provides a Classic Car policy for those who own rare automobiles or vintage cars. MyStyle Femsure is one of the few South African short-term insurance brands specifically catered to women and is administered by Diagonal Insurance Solutions. Nedbank offers a range of comprehensive insurance products which are aimed at complementing its banking services. As part of financial services giant Nedbank, which is owned by Old Mutual, Nedcor Insurance boasts an impressive business pedigree. Nedgroup Life has developed the 360Life life insurance policy, which offers many different benefits and even lowers premiums if you follow their wellness service advice. New National Assurance (NNA) boasts the distinction of being the first solely Black-owned short-term insurance company in South Africa. Old Mutual has over 150 years of experience and is one of South Africa's best known and largest providers of insurance. Outsurance is one of the most popular direct short-term insurers in the country, with a money back policy known as Outbonus that is an industry leader. Pinnafrica Life came into South Africa courtesy of The English based company Pinnacle Insurance plc. 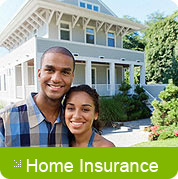 They have grown steadily over the past thirteen years and now offer many different long-term insurance policies. The Professional Provident Society (or PPS) is a South African company formed by professionals where membership is exclusively limited to other professionals. Prosper impressed us with their Rewards program that pays back responsible drivers and they also throw in emergency assistance at no charge. Regent are one of the largest commercial vehicle and aviation insurance companies operating in South Africa today. Formerly a subsidiary of Reliance National Insurance Company in Europe, Renasa Insurance Company Limited is now a solely South African short-term insurance company. Safire Insurance Company Limited offers a range of niche short-term insurance products specifically suited for South Africa. The Safrican insurance company has been around for nearly 80 years in South Africa. There are many varied funeral policies available tailored to specific needs of the individual client. Sanlam life insurance policies are backed by one of South Africa's biggest and most renowned financial services companies. Sentrasure Ltd offers comprehensive short-term insurance products for South Africans, and is backed by its parent company and leading financial services firm, Mutual & Federal. Standard Bank Insurance Brokers and Standard Insurance Limited offer South Africans a wide range of insurance products and services. Union Life emerged from the Doves Funeral Home company, was then called HTG Life, and since 2006 has operated under the current name after a takeover by the National Union of Metal Workers of South Africa (NUMSA). Unitrans Insurance (U-insure) specialises in Autocare Warranties, Credit Protection, ExtraCover, Maintenance Plans and Service Plans. Unity Insurance is relatively new and they have differentiated themselves with multi-lingual support and an impressive insurance hotline. Woolworths Insurance is the latest offering from one of the premier retailers in South Africa. They promise affordable, quality insurance just like their other products. Zurich Insurance is the local insurance firm that is backed by Zurich financial services, and tailors policies for everyone from CEOs to weekend cyclists.